Identipet is proudly the premier microchipping company in Southern Africa for the past 27 years.Our products are to be found in a host of animal environmental uses, from protecting our endangered Rhino population to the identification of the sea-going migrating Leatherback and Loggerhead turtles, with dogs, cats and all other creature in between. The ONLY South African microchipping company that can supply scanners that read every animal microchip in existence, and microchips that can read an animal’s temperature. The ONLY microchip with patented and scientifically proven BioBond anti-migration. The ONLY company with a managed database for positive identification and recovery of pets. The ONLY microchipping company that invests in the national scanner network. The ONLY microchipping company to have a secure App for ease of registration and/or transfer of ownership at the click of a button. The ONLY microchipping company to have a network of Pet Rescuers. 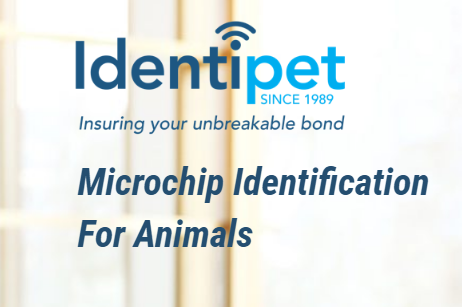 The ONLY microchip company that has “Rapid Alert” – immediate notification when your pet is scanned and a “Panic Button” which triggers rescue alerts.